Ambani, who had first written to Gandhi on the issue in December, last week again wrote to him saying not a single component worth a single rupee is to be manufactured. 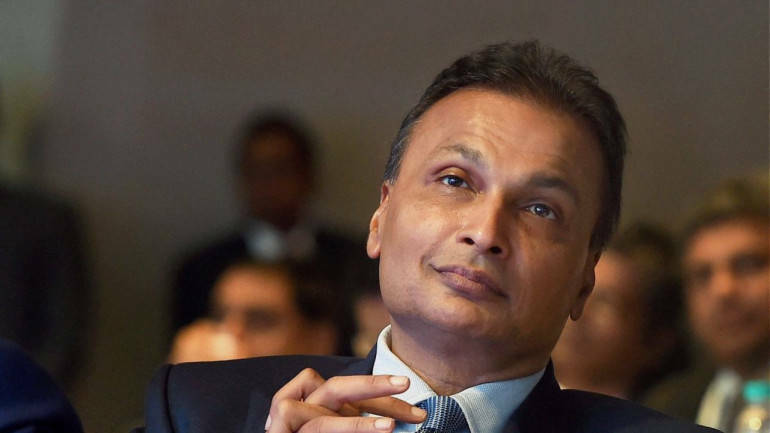 Reliance Group on Monday said its Chairman Anil Ambani has written to Congress president Rahul Gandhi on the Rafale fighter jet deal saying his party has been "misinformed, misdirected and misled" by "malicious vested interests and corporate rivals" on the issue. Ambani, who had first written to Gandhi on the issue in December, last week again wrote to him saying not a single component worth a single rupee is to be manufactured by his group for the 36 Rafale jets India is buying from France, the company said in a statement here. Gandhi has been attacking the government for inking the deal at a much higher price than the one the previous UPA regime had negotiated. While he has accused the government of changing the deal to benefit "one businessman", his party has demanded a JPC probe into the deal. "Allegations of Reliance benefitting by thousands of crores is a figment of imagination, promoted by vested interests," the company statement said, quoting from Ambani's letter. "Simply put, no contract exists with the Government of India." French company Dassault, which is supplying the fighter jets, has entered into a joint venture with Reliance Group to meet its offset requirement of the contract. Under defence offset, a foreign supplier of equipment agrees to manufacture a given percent of his product (in terms of value) in the buying country. Sometimes this may take place with technology transfer. While direct offsets are linked to the original defence contact where companies often agree to transfer relevant technological know-how or use local suppliers to build the equipment they are selling to the government, indirect offsets have nothing to do with the deal and can include the company making up investments in local industries. In case of Rafale deal, which will give new comer Reliance Group a foothold in the defence industry, the companies have not specified what components will they manufacturer in India. Ambani in the letter expressed "deep anguish over continued personal attacks by Rahul Gandhi on him", the statement said. He termed all allegations as "baseless, ill-informed and unfortunate"
Explaining the role of Reliance in offset exports/ work share with Dassault, he said: "The Congress has been misinformed, misdirected and misled by malicious vested interests and corporate rivals." He said Rafale fighter jets are not being manufactured by Reliance of the Dassault Reliance joint venture. "All 36 planes are to be 100 per cent manufactured in France, and exported from France to India." "There is no contract from the Ministry of Defence to any Reliance Group company related to 36 Rafale aircraft," the statement said. Ambani said his group's "role is limited to offset/ export obligations. More than 100 medium, small and micro enterprises (MSMEs) will participate in this, along with public sector undertakings like BEL and Defence Research and Development Organisation (DRDO). "This role strengthens Indian manufacturing capabilities, and is in pursuance of the Offsets Policy introduced by the Congress-led UPA government itself from 2005 onwards." He said Reliance Group announced its decision to enter the defence manufacturing sector in December 2014-January 2015, "months before the intention for the purchase of Rafale aircraft".